Jennifer Koh on the Oberlin Artist Recital Series (October 29): “…as close to perfect violin playing as one is likely to hear. Jennifer Koh drew a capacity audience into the special world of solo violin music on Thursday evening with her gracious stage presence, gorgeous tone, flawless intonation, right on interpretations and virtuosity deployed only in service to the music. One left Finney Chapel knowing that this had not been an everyday experience”. The Cleveland Orchestra with Alicia Weilerstein (November 20). “Alisa Weilerstein did heroic double duty last Friday evening at the second edition of the new ‘Fridays@7’ series. Many another cello diva would have packed up her instrument and headed home after appearing as soloist in the Dvorak concerto. But not Alisa. She seamlessly moved into the role of collaborator for the second half of the evening, joining Jamey Haddad and Friends in a 70 minute set of Brazilian, Jazz and Tango inspired music in the colorfully lit Grand Foyer”. CityMusic Cleveland with Joel Smirnoff at Fairmount Church (December 9): “On a dark and windy night, with dire predictions of a major winter storm on its way (didn’t quite happen), what better refuge than a warm, brightly lit church and an free concert of some of Mozart’s most charming small orchestra music?…CityMusic Cleveland does a great service in bringing classical orchestral music to the community…audiences can look forward to an evening or an afternoon of predictably high quality music by young professionals”. Alicia Weilerstein and Inon Barnatan on the Mixon Hall Master’s Series at CIM (January 26). “…Weilerstein and…Bartanan would make a killer mixed doubles team if they ever decide to collaborate with racquets rather than with musical instruments…the cellist and pianist read each other’s minds completely, anticipated every move the other was thinking of making, served up aces, engaged in stunning volleys at the net and no errors were called”. The Cleveland Orchestra with Pierre Boulez and Pierre-Laurent Aimard (February 4): “How does he do it? Pierre Boulez being the ‘he’, and ‘it’ being the simultaneous achievement of such clarity, transparency, substance, spaciousness and color in French orchestral music — and all with his bare hands?…Boulez did it again at Severance Hall on Saturday evening with a bit of help [in both Ravel concertos] from the three hands of Pierre-Laurent Aimard and the brilliance of The Cleveland Orchestra, whose propensity for playing chamber music in groups of a hundred or so is well known and really paid off on this occasion”. Paul O’Dette on CWRU’s Chapel, Court & Countryside Series (February 13): “Within the relatively quiet sonic parameters of the lute, Paul O’Dette managed throughout the evening to create great drama and contrast through skillful handling of color and dynamics and produced an impressive variety of timbre through the subtlety of his voicing. His ability to create a singing line with destination, tension and release, is nothing short of amazing. It’s as though every note is carefully calculated to fall precisely into a musical plan. And all of this finesse comes from the hands of a big bear of a man who is just about as far from one’s idea of an early music scholar as can be imagined”. Pomerium at the Cathedral of St. John the Evangelist (March 1). “After nearly four decades, the thirteen singers, led by their founder,Alexander Blachly, have accumulated years of ensemble experience but still manage to bring a fresh and newly-minted sound to the repertory of one of the most creative eras in music history”. The Cleveland Orchestra/Zurich Opera’s ‘Così fan tutte’ at Severance Hall (March 8): “Opera is primarly about singing, and ‘Così’ offered marvelous pairings of vocal artists…but opera is also frequently about acting, and this was a superb ensemble in that regard as well…Franz Welser-Möst was once again in his element as an expert opera conductor, setting perfect tempos, making seamless transitions and pacing the music so skillfully that everything moved along but nothing was rushed”. 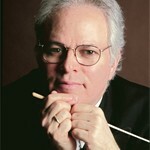 Akron Symphony in Mahler’s 9th both at E.J. Thomas and Severance Hall under Benjamin Zander (March 20 & 21): In neither performance did the Akron Symphony hold anything back from Zander, who dug deeply into the score and demanded probably more sheer, resonant sound from the ensemble than it knew it had at its disposal. But that’s Zander’s philosophy of life — giving birth to possibility, and it certainly worked on any number of musical levels on Saturday night and Sunday afternoon. The hundred and some musicians played, as sportspeople say, “out of their minds”, producing a performance notable not only for the contributions of individual soloists but also for fine section teamwork and whole orchestra ensemble”. Voces Intimae at Oberlin (March 25). “Pianist Riccardo Cecchetti, violinist Luigi de Filippi and cellist Sandro Meo are fine and versatile individual musicians who come together to produce masterful readings of music from the Viennese classical period on period instruments without indulging in the fussiness and sterility that sometimes characterizes early music ensembles”. 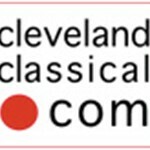 Cleveland Orchestra with Bernard Labadie (April 29 & May 1): “…Labadie pulled out his apparently magic wand at Severance Hall last weekend and cast a spell over members of the Cleveland Orchestra (Barocco! ), transforming one of the Big Five into a first class baroque ensemble — one that played with razor-sharp ensemble and intonation, and with thoroughly ear-engaging timbres”. Akron Baroque at First Congregational Church (May 18): “a well chosen and expertly performed selection of Baroque curiosities and a rare, professional performance of an old warhorse…Informed but not by shackled by historic performance practice, Akron Baroque produced an unfussy and thoroughly accessible concert of little heard but instantly attractive music”. Baldwin-Wallace Art Song Festival: Lawrence Brownlee (May 20). “a really inspiring recital (one of the teamsingers near me exclaimed, “that’s it — I’m going right back to the practice room”). Not only did Lawrence Brownlee bowl everyone over with the high notes that you expect from an operatic tenor, he sang the whole range of this evening’s repertory with astonishing conviction and sensitivity”. Opera Cleveland’s ‘Lucia di Lammermoor’ (May 23). “This Lucia was so well conceived, coordinated and executed that I left the theater completely satisfied by what I saw and heard. Bravo, Opera Cleveland. You should franchise this production”. See the other ‘Picks of the Season’ posts for nominations by our readers and staff writers.